We are your full service salon bringing over 25 years of experience new to the Tallahassee area. We cater to students and families offering early-bird discounts and specials. 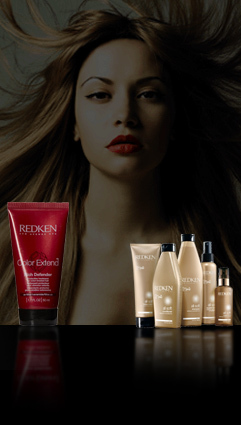 We use Redken products and colors to create that perfect specialized color just for you! We offer the latest trends in hair, from rebinding, to perms, we do weaves and extensions. Pamper yourself with a facial and updo, perfect for weddings and other special occassions. Eyebrow arching is also available. Come visit us and you'll see how "We love to make your style!"